British Prime Minister David Cameron has had to defend himself over his close connections to the embattled Rupert Murdoch media empire before MPs, as he answered tough questions during Wednesday’s session in the House of Commons. 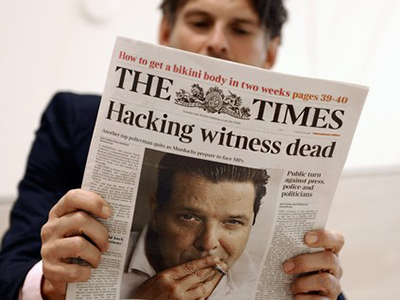 Addressing the house about the phone hacking scandal, Cameron defended his former employee Andy Coulson, saying he should be considered "innocent until proven guilty.” But if Coulson has lied, Cameron said, he should be prosecuted. He confessed that, on reflection, he would never have hired Coulson as his chief media adviser if he had known about what has been revealed in recent weeks. "With 20:20 hindsight and all that has followed, I would not have offeref Coulson the job and I expect that he wouldn't have taken it," Cameron told MPs. After his statement, the PM answered tough questions from MPs, most of which were over allegations that Coulson, a former News of The World executive arrested in connection with phone hacking, had advised Cameron before he was elected. Opposition leader Ed Miliband said it is now time for “full apology” from David Cameron for having hired Coulson. The scandal left Cameron "hamstrung by a conflict of interests," Ed Miliband said. According to RT’s correspondent in the UK, Laura Emmett, some people see a possibility that Cameron could leave the office as a result of the scandal, or even if he stays in the office, he may lose power. Dan Hodges from the Labour Uncut website says Cameron has been damaged politically, but does not believe the politician has been irreparably harmed. Cameron also faced repeated questions over whether or not he had interfered in the BSkyB deal which Murdoch was trying to push through. 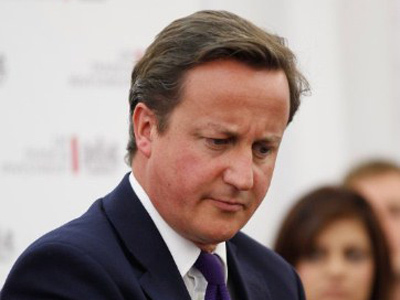 Cameron refused to answer the question directly, saying that he had had no appropriate conversations. The prime minister said he has formed a committee which consists of a range of civil rights campaigners and former top journalists to take part in a wide-ranging inquiry into phone hacking and other illegal practices by journalists. He said the newspaper inquiry will widen to take in different types of information-related crimes and other media such as broadcasters. He told lawmakers Wednesday it will also investigate all forms of information-related crimes, such as phone hacking and hacking into email accounts. "People desperately want us to put a stop to the illegal practices," Cameron said. The committee will be able to summon witnesses under oath, he said. 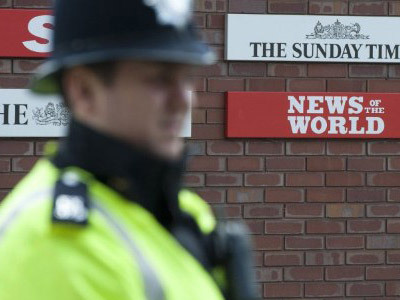 Cameron's comments came just a day after media magnate Rupert Murdoch, his son James Murdoch, Rebekah Brooks, as well as top police officials gave evidence in the UK parliament over the scandal. 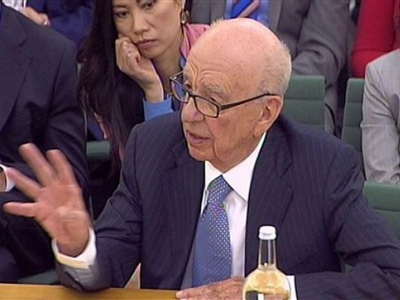 On Tuesday, hours after appearing before a parliamentary committee, Rupert Murdoch emailed employees of News Corporation, saying that he had never tolerated the kind of behavior that has been described over the past few weeks.